Switchcam has pivoted away from its multi-camera video creation service to instead focus on helping musicians and promoters find their most passionate fan base. The new offering launched today giving users the capability of curating media from fans from Instagram and YouTube and turning them into galleries that can be shared across the Web and Facebook. In addition, Switchcam generates analytics and insights about fans so musicians, promoters, and live venues know where the most engaged fan base is. 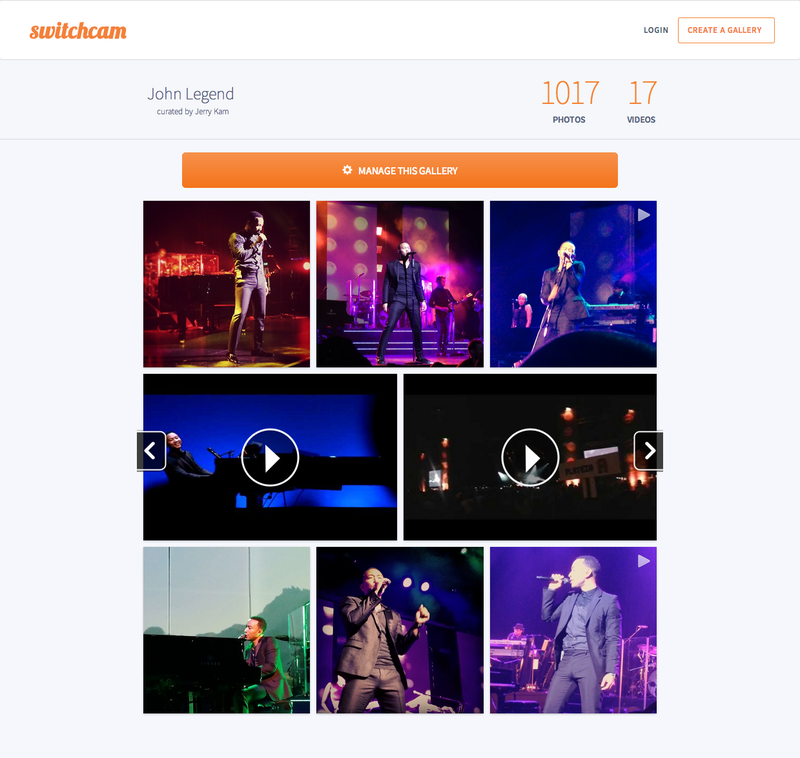 In building this product, Switchcam believes that musicians will now be able to parse through the large volumes of content online in order to find the best images of their live performances. 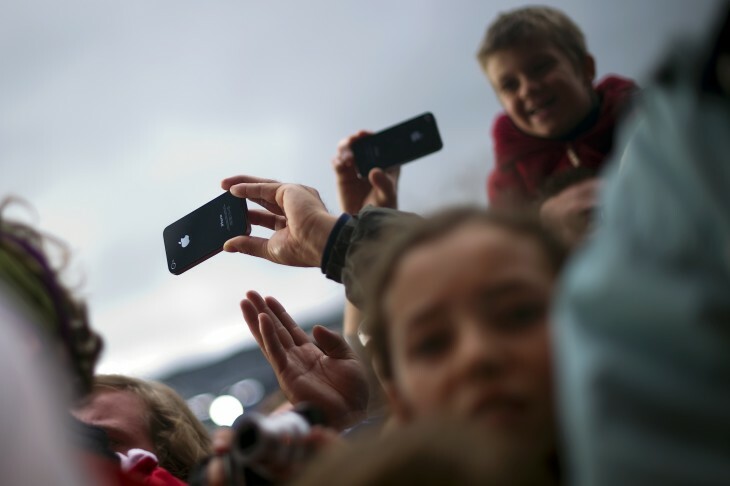 It’s basically saying, “Here’s a shot of last night’s performance, taken by Charlie.” The company’s “patented content algorithms” will automatically find the most relevant content from live shows and rank them according to an “Excitement Index” (how excited the crowd was at the time the photo or video was taken). Switchcam has four different pricing tiers. With the free version, you can create media galleries for one artist, but you’ll get limited analytics. Then, prices go from $9 up to $79 per month, but you receive additional analytic offerings like show-by-show content and influencer analytics. The only difference between all the paid tiers is how many Facebook Likes you receive per month. 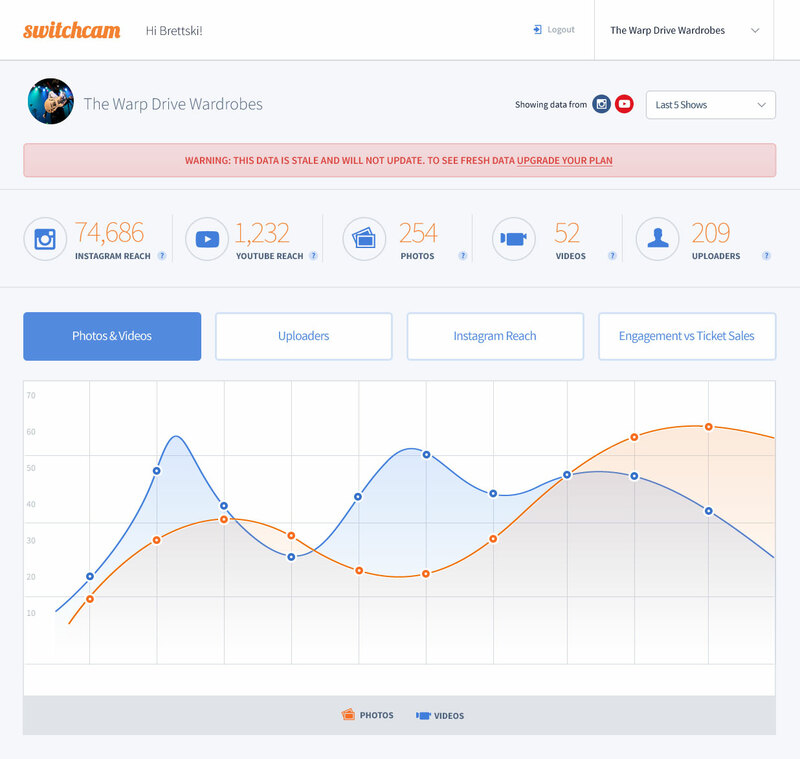 The company’s analytics package gives users a better view about their Instagram and YouTube reach, along with engagement versus ticket sales. The package also lists the fans with the most followers and those that share the most. Lastly, you can discover what the top hashtags being used on Instagram and by location are. Switchcam was founded in 2010 as a service where users could collaborate with others to create a comprehensive video of any event spanning different angles — all with zero editing required. It entered into public beta in 2013, but now has since shifted its focus. Company CEO and cofounder Brett Welch says that while it’s a pivot, from a technological perspective “much of our core IP is still being put to work.” As a result, the previous iteration of Switchcam is no longer available. The company has raised $1.2 million in funding and participated in both 500 Startups and Turner Media Camp accelerators.